With how unpredictable life can be, consider getting a screen protector to use on the iPhone XR. It has a Liquid Retina display, but the glass over it isn’t indestructible. Screen protectors are able to shield from sharp objects and mitigate damage from drops and knocks. Really, it’s a low-effort method to keep the iPhone XR looking as good as new. Here are some of the best screen protectors for Apple’s iPhone XR. By now, you should be familiar with Anker. From chargers and cables to speakers and screen protectors, this brand offers it all. Everyone goes to Anker for affordable, useful products. 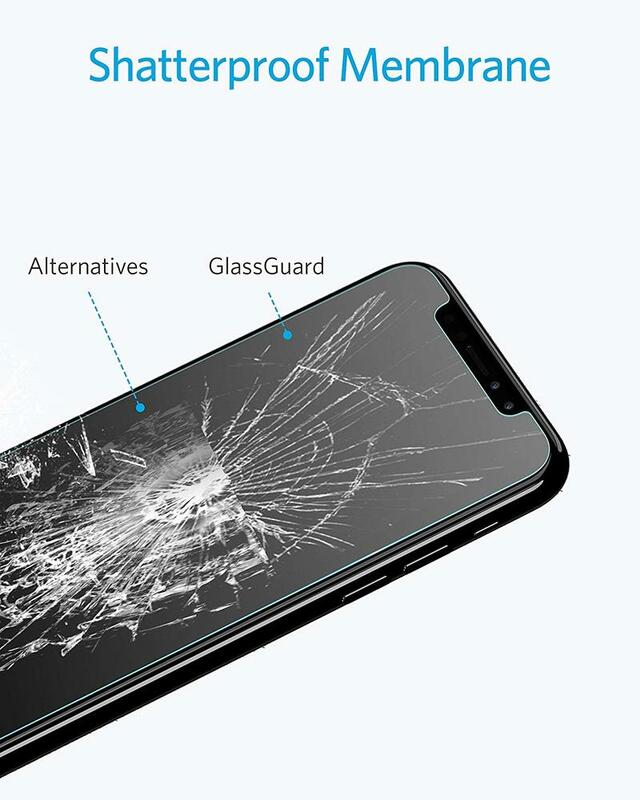 The GlassGuard screen protector should be at the top of your list. 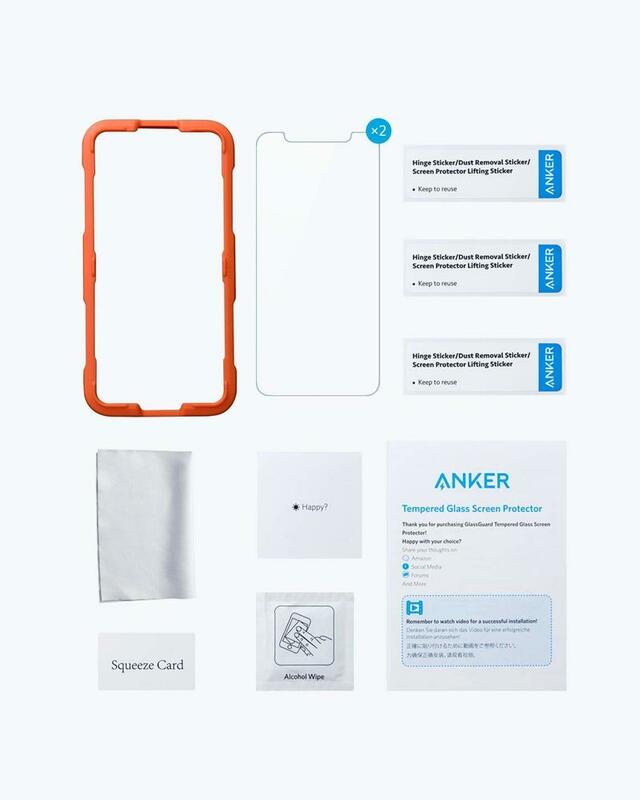 Anker’s well-trusted identity isn’t the only reason why we recommend this screen protector. The brand tossed in plenty of technologies that’ll last over time. It has an oleophobic coating to reject fingerprints, and there’s 9H hardness to stop scratches of varying degrees from gathering. Plus, Anker includes an abundance of materials to make the installation as easy as possible. The 2-pack comes with microfiber cloths, alcohol wipes, dust removal stickers, a squeeze card, and an alignment frame. 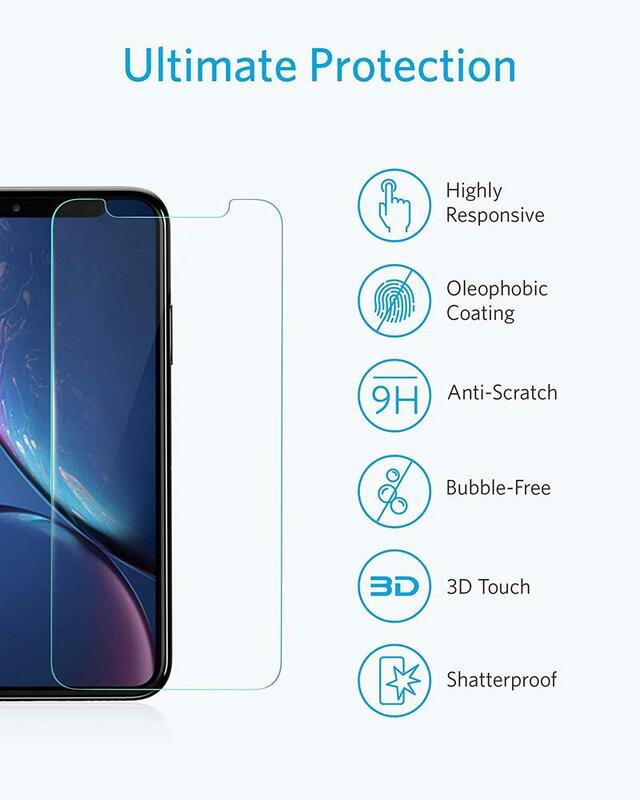 While some screen protectors are susceptible to widespread damage upon impact, the GlassGuard screen protector leverages a two-layer design. Anker calls it ‘DoubleDefense’ because you get the power of two layers in the form of just one. 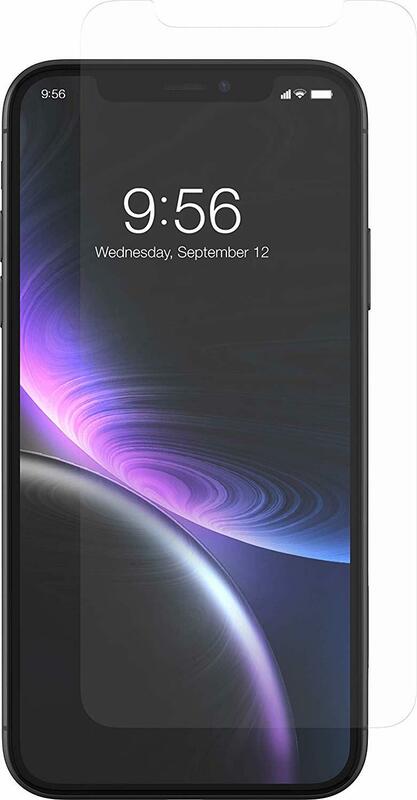 Don’t let the price of ZAGG’s InvisibleShield Glass+ VisionGuard screen protector scare you off. The technology is legit. Here, you get a filter for harmful blue light that contributes to eye strain, a chemically-strengthened construction to ward off damage, and 100% clarity for crisp vision. It may be expensive for many iPhone XR owners at $40, but the technology inside this screen protector could be worth every penny. ZAGG has earned a reputation for shipping premium, no-compromise accessories. Ailun’s serving up a trio of screen protectors on the cheap. Yet you’d be mistaken to think these are subpar in any capacity. The brand’s using tempered glass, which you’ll want for maximum durability and protection. 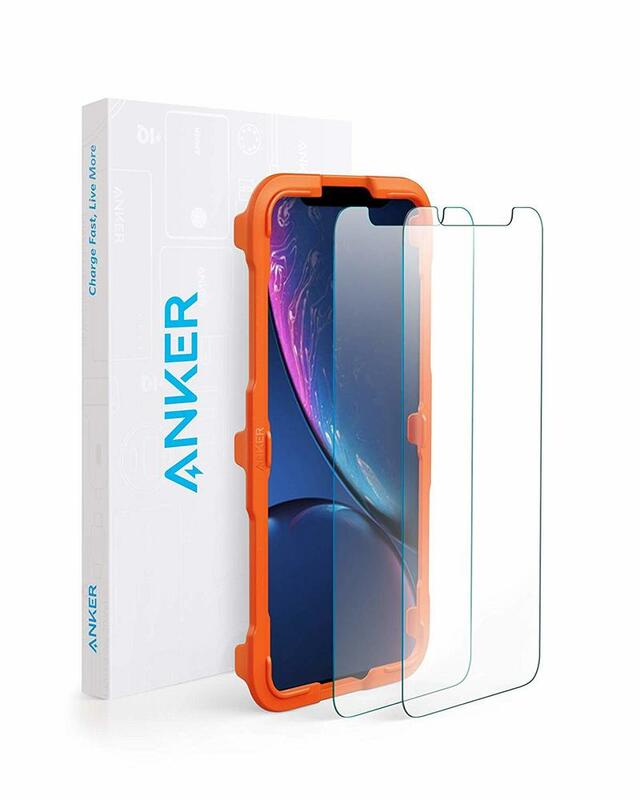 So your iPhone XR shouldn’t look like a worn out mess no matter how long this screen protector remains in commission. The screen protector picks up on the essentials. It sports 9H hardness, 99.9% transparency, and an anti-fingerprint coating. 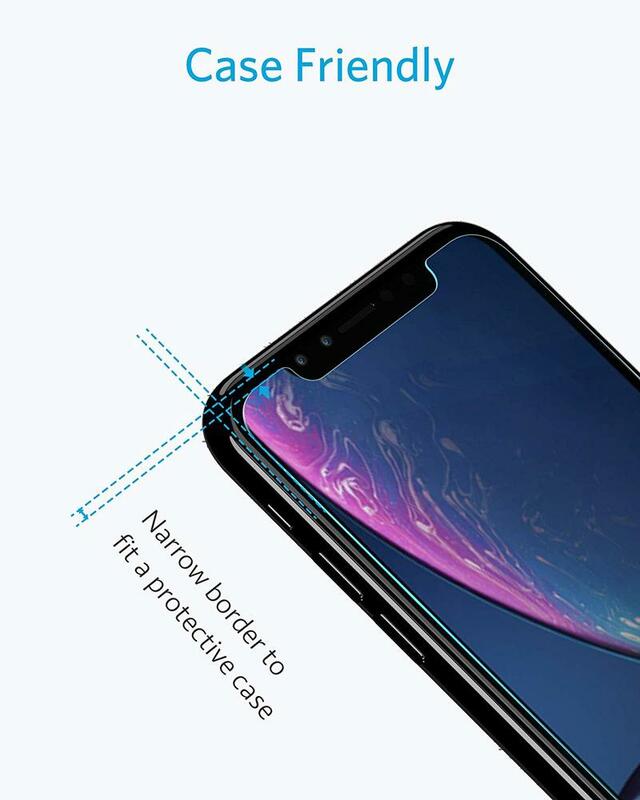 Ailun also created this screen protector to be case-friendly. At less than $2 per screen protector, you can’t go wrong. If the screen protector starts to show its age, get in touch with Ailun. The customer support team will issue a replacement within the first year as soon as possible. Some brands don’t have friendly warranties, but Ailun understands your iPhone deserves the best care.